So in a roundabout way we are nearly up to date. There’s still lots to focus and expand upon but we’ve got plenty of time for that. Violets diagnosis of Quadriplegic Dyskinetic Dystonic Cerebral Palsy in January this year hasn’t changed anything in terms of her therapies. The only real difference is that we have answers, whereas before we only had mysteries. Only 9% of those diagnosed with CP are as a result of HIE. Only 10% of those diagnosed with CP are diagnosed with Dyskinetic CP. So as you can see Violet is in a select group. 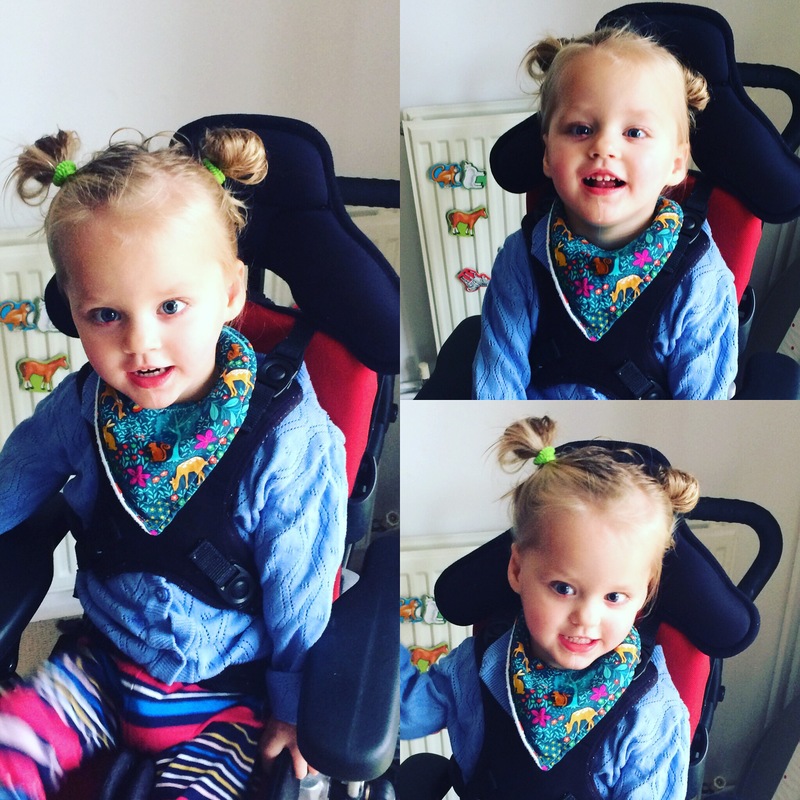 Violets CP is not progressive, the brain damage caused around birth will not get worse. But Violets complete diagnosis is evolving. This is because the affects of the brain damage are not always apparent until children reach the age of four. HIE can cause many different attributing conditions. Only time will tell if some of these will appear. 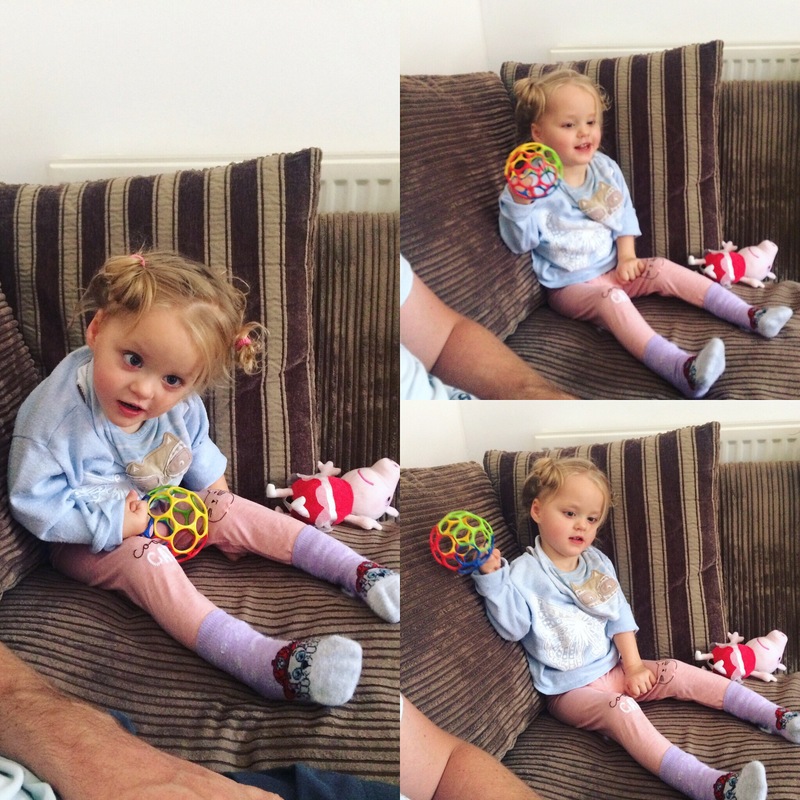 •Seizures – Violet has now had 3, the last 2 within the last fortnight. Currently not on any medications for this, one EEG was “normal” prior to these starting in January. Another is being booked in. •Eyesight – Violet has had surgery recently to treat seven styes on her eyes. She suffers greatly with these and they cause a lot of pain. In addition to this she has a developing/worsening squint. This squint swaps between both eyes. Glasses are going to be trialled first to try and correct her vision. •Dystonia/Spasticity – Violet was started on Baclofen for the tightness in her hamstrings. This has gotten a lot worse over the last six months,despite daily exercises. It’s inevitable sadly, one of the things that happens with CP. The Baclofen is giving great results so far but we will have to ensure we keep a close eye on adjusting the dosage etc so it is as effective as possible. •Sleep – Violet struggles to settle to sleep and therefore melatonin was started. This has helped slightly, still have major issues with settling and with frequent waking in the night. Not to mention the 4-5am starts every day….. Violet is being referred to Chailey Heritage for a posture clinic. They will look at making V a sleep system which will go inside her new NHS bed to help her get into a comfortable position. It will also prevent V from bending her legs all night as she currently does as this does not help with the tightness in her leg muscles. •Independence – we always strive in every way we can to give V as much independence as possible. In order to expand on this we are going to take her gait trainer (Walker) to nursery. It will live there term time. I know she will love showing her friends that she can walk in it and it will open up so many more activities for her.